Remember Portal? That small, innocent little puzzle game that was an offshoot of the Half-Life series? That game that became a phenomenon, spawned the “cake is a lie” movement, and is perhaps revered as one of the best puzzle games of all time? Many games since have tried to match up to what Portal accomplished, but few have come close. For Portal, it wasn’t just about the fantastic and ingenious puzzles. It was about the atmosphere, the message in the game, the sinister overarching force, and the psychological ‘why’ behind it all. Portal embodied so much beyond just how to get to your end goal, and The Swapper follows suit with its dark and twisted way of intertwining devious puzzles with an unspoken narrative. The Swapper actually managed to invoke those same feelings that I had the first time that I played Portal. You begin the game as an unnamed individual trapped in an escape pod (made from a tin can; read on to find out the stunning story behind the graphics) that gets jettisoned from a space station. After crashing on the planet below, you get your hands on a device called the Swapper, which allows you to create up to four additional clones of yourself and swap your consciousness to them. After making your way back to the space station, you begin a spectacular puzzle adventure to discover where you are, what the device truly is, and your own identity. Most games are filled with cannon fodder, whether it’s enemies you are mowing down or the countless iterations of Mario you killed trying to make that difficult jump. We’ve been killing off our video game selves for years, so why is it that I can’t shake the sinking feeling I get each time I create a clone and swap to it, only to watch my old body die while assisting my forward movement? 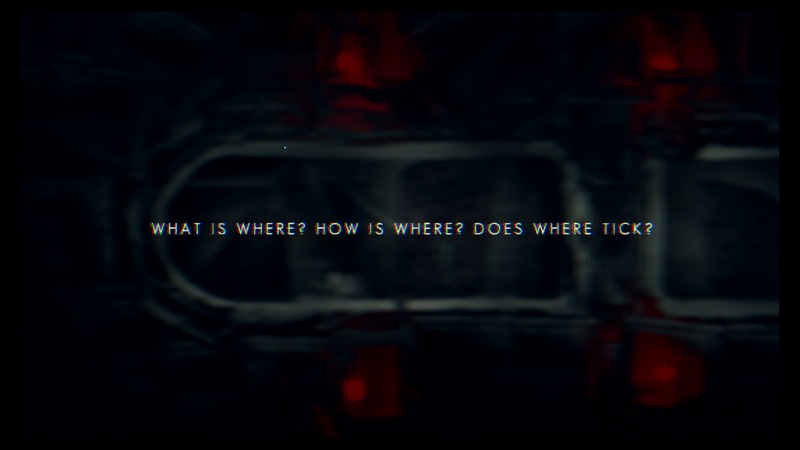 The Swapper uses its puzzle mechanic to raise existential questions. What is a body? What is the soul? Do either of these really exist? Where do we draw the moral boundaries on human consciousness.? I had my own personal thoughts on these themes as I completed each puzzle, but I can see everyone having a different take on what it specifically means to them. The mind is constantly stimulated while playing The Swapper, and the puzzles do a lot to play into this. Each puzzle required critical thinking about how to use your four spare clones and how to sacrifice in order to reach your final goal. The puzzles never got aggravating and remained intelligent throughout, which is not something I can realistically say about a lot of puzzle games. The solutions never felt too far out of reach even when they took me a long time to complete. Most puzzle games fall into one of two categories. Either they are far too easy and beg to bend the brain even more, or they are so beyond difficult that you remain confused even after looking up solutions. There’s a fine line in the middle, which is where I found The Swapper to walk. 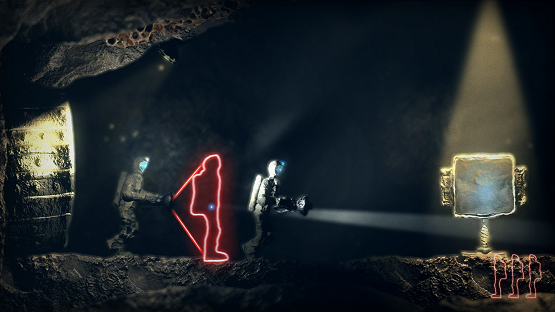 The puzzles begin to include things such as colored lights that can block the effects of your Swapper and gravity shifts that throw your perception of solutions into disarray. All the while, the thought provoking puzzles continue to evoke further inquisition into the questions of existentialism and what it truly means to “be.” Not far into the game I was so far removed from my original body by swapping my consciousness into my clones that I began to wonder if I was really me anymore. I had long ago left the original ‘me’ behind, and had since sacrificed many more versions of myself in interest of my own advancement. In Portal, GLaDOS was the sadist. In The Swapper, that role went to me as the player. Am I a monster? Was this murder? Were these all lifeless clones, were they actually human beings, or worse, were they actually me? 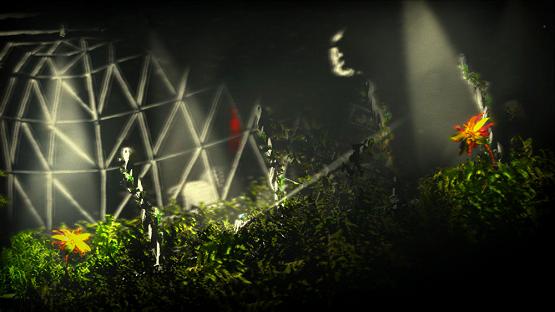 The eerie psychological effect of the game is accentuated by its graphical styling. Rather than use traditional 3D modeling, The Swapper’s assets were actually physically created using clay and other found objects. Photographs were then taken of the clay models which were dynamically lit to create the game. Imperfections could not be rendered out by a modeling software, which means that the imperfections became part of the game. The visual result is similar to that of stop motion films, and is one of the most impressive graphical nuances I have seen in a game in a long time. Realism be damned when you are actually using photographs as your in-game assets. Perhaps The Swapper’s only fault is that I desperately wanted more. Clocking in at under five hours, even getting stuck on some puzzles, the game felt like it flew by way too quickly. Add to this that the replay value is relatively scant, with trophies being for simply finding ten (very well) hidden rooms, and you’ve got a game that may very well never be picked up again as you move onto the next thing, just as the crumpled corpse of your old self gets left behind after you swap to your new body. I was able to complete the game in one go on a Sunday relaxing at home. Now granted, most people probably aren’t going to sit down for nearly five hours straight to beat this, but the total investment remains the same. It’s a common problem with puzzle games that knowing the solution defeats the replayability, so I can’t fault the game itself, as the genre inherently has very little replay value already, which probably accounts for my constant itching for the next great puzzle game. Not everyone may find the same humbling or existential experience that I did, but for me, the game left me with questions beyond the game itself as credits rolled. It successfully made me take a step back, look at my own being, and asked tough psychological, moral, and ethical questions that don’t necessarily have a right or a wrong answer. All the while I was embroiled in some of the most well thought out puzzle mechanics in years. The Swapper will fly under many people’s radar, which is unfortunate because with its unique take on graphics, puzzles, and narrative, they will be missing out on what I would say is the best puzzle platformer experience since Portal. Unique graphics give it a stop-motion feel. Brain bending puzzles that don't frustrate. Existential narrative that ties deeply into the puzzle elements. Felt relatively short, perhaps because I just wanted more? 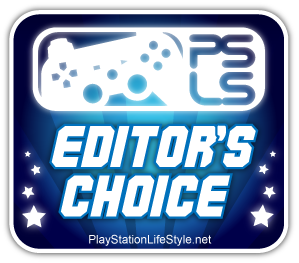 Very little replay value, which is inherent to the genre.